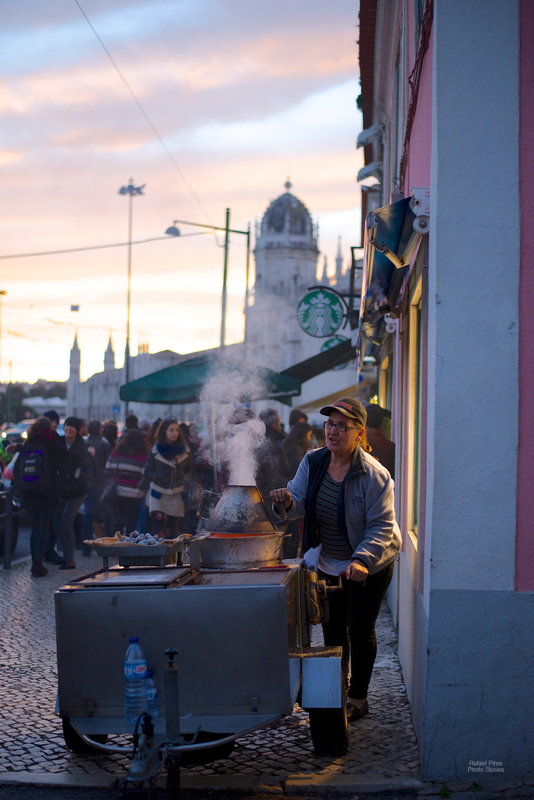 Woman cooking chestnuts in Lisbon. If it’s cold weather in Portugal, people use to buy some hot chestnuts to eat. Modern all metallic ovens, like this one, replaced the old metallic/wood ovens.